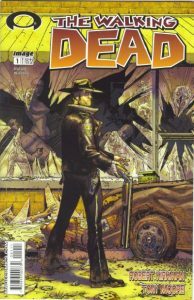 “The Walking Dead” #1. Art by Tony Moore. Earlier today at Image Comics‘ “Image Expo” convention, the creator-friendly comic company made a big announcement: starting today, all of its comics will be sold via its website as DRM-free digital comics. While one can still buy Image’s books via Comixology, etc., there’s now the option of buying the books directly from Image, and without digital rights management. On top of that, Image is offering a choice of file formats: CBZ, CBR, PDF, and EPUB. This marks a big milestone for a major comics publisher. As I’ve written before, one of the biggest flaws in most digital comic books to this point has been the DRMed and proprietary formatted comics sold via vendors like Comixology. One doesn’t really “own” any comics bought via Comixology; instead, they’re basically long-term rentals. And if Comixology should ever go under, more than likely one’s comics will also go bye-bye with the company. Yes, they’re downloaded to one’s device, but since they’re tied to the Comixology app in a proprietary, impossible-to-use-otherwise format, that doesn’t do much good. Image’s new digital offerings means one can manage one’s own comics much like iTunes or Amazon bought digital music. Offering a range of formats is also a nice plus. 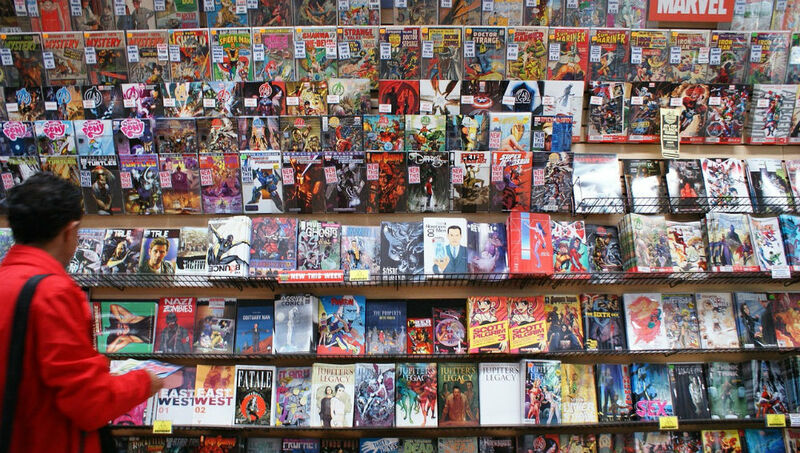 CBZ/CBR have already proved to be popular digital comics formats via independent distributors and (yes) pirated sources. PDF, while usable, isn’t as flexible or nice a format as CBR/CBZ, though PDF (and EPUB) will be more familiar with the general public. I prefer CBZ (or CBR) myself. Another plus from Image’s perspective is that the DRM-free comics are being sold through their own website. This means no massive revenue loss as is the case with the current digital comics setup, where two-thirds of the money is gone thanks to middlemen. Google/Apple take 30% of digital sales through apps off the bat, followed by Comixology taking another 35%. This should work out much better for both Image and the comics’ creators. (EDIT) Almost forgot—another milestone by Image is that they’re the first big publisher willing to release actual sales figures for digital comics. Apparently digital will make up 15% of sales for Image by the end of the year. While not indicative of what the other companies’ sales figures are like (which they still refuse to discuss/release), at least we finally have an idea of what going digital’s done for one company. Hopefully, other comic companies like Archie, IDW, or especially the “Big Two” (DC and Marvel) will take notice and start offering their comics similarly, as well.